Maestro Gaxiola, aka, “The Maestro” (Nov. 15, 1936) is an American artist. He is probably one of America's most versatile and prolific artists. He is, among other things, a painter, print maker, sculptor, ceramists, boot maker, leather worker, engraver, philosopher, writer, singer/songwriter, and performance artist. He was the subject of two films, The Maestro: King of the Cowboy Artists (1995) (see clip)http://www.youtube.com/watch?v=6mOFpq3eEnI&feature=related and The Maestro Rides Again (2005) by world renowned documentary filmmaker Les Blank. The Maestro has exhibited his work in New York City with Andy Warhol, Roy Lichtenstein, Ed Ruscha, Robert Mapplethorpe, C. M. Russell, Edward Curtis, and many other well-known artists. Maestro Gaxiola was born, Gerald Dean Gaxiola, in San Luis Obispo, California. He was the second son of Elsie Jane Madonna, (Swiss/Italian) and Urban F. Gaxiola, a sixth generation Californian of Spanish Basque decent. After his mother and father divorced in 1939 his mother returned with her two children to her parent’s dairy ranch outside of San Luis Obispo. He lived there with an extended family, which included two unmarried uncles, and his grandmother, until he moved back into town in 1946 when his mother remarried. He enjoyed the freedom of having a three hundred acre playground which included horses, cows, pigs and an assortment of other farm animals, plus a creek, an orchard, a vineyard, and two trains, the Southern Pacific and the Pacific Coast narrow gauge railroad, running through the property. After getting married he and his wife moved to San Francisco where he went to work for Pan American Airways as an aircraft mechanic. He later got a job as a traveling wholesale hardware salesman. He decided to get a trade after finding out he was not suited to be a salesman. “The idea of “selling” something to somebody goes against my grain,” he later said, “to this day I can’t stand TV commercials.” After leaving his salesman’s job he moved to Oakland, CA, where he joined the printers union and started work as an offset printer. He eventually became a journeyman printer. Other than taking few drawing classes in high school and a ceramic class in night school, art was never something he cared for or gave much thought to. Even though he had an artist’s eye and a gift for making things, growing up on a ranch in a small town he always thought that art was something done by “them,” never by “us”. However, he was persuaded by a woman who was firing some of his ceramics to take art seriously and go to art college. He was still working as a printer when decided to take her advice. He entered the California College of Arts and Craft in Oakland, CA. in 1966. Because he was 30 years old, working full time, and had been married for 12 years, he did not exactly fit in with the young, mostly well off, students. To him they all seemed rather self-centered and a bit spoiled. 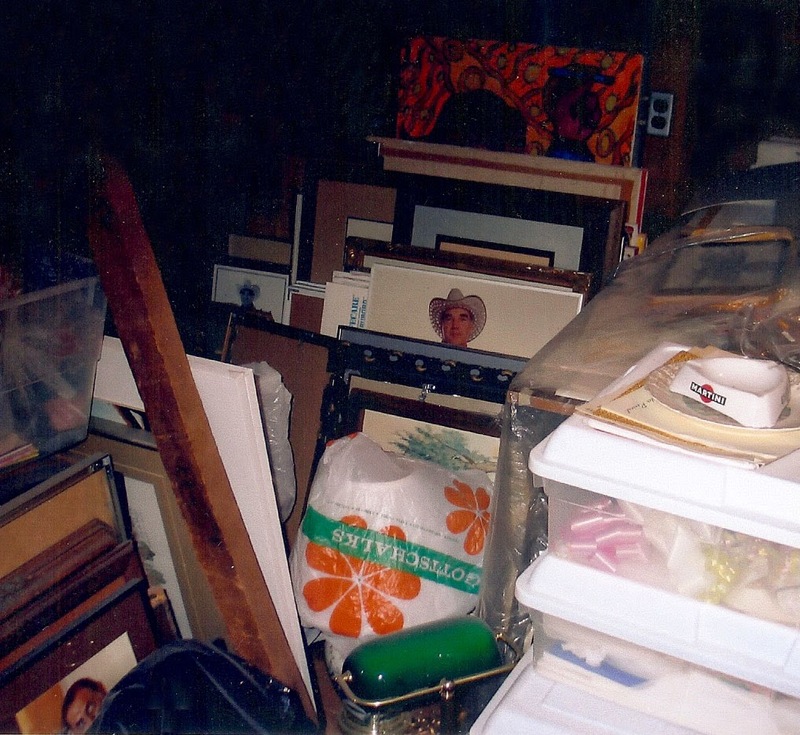 His discipline and work ethic far outstripped most of the art students in his classes and he would complete three or four art projects to every one of theirs. His view of art and artists as represented by these students was not positive. However, one day he stumbled upon a book by Mark Roskill; The Letters of Vincent Van Gogh. He instantly identified with Van Gogh. He could relate to Van Gogh’s paintings because he had spent his formative years being around vineyards, orchards, and fields of hay, the subject of many of Van Gogh’s paintings. He could also relate to the “outsider” in Van Gogh because he too was the “outsider” in art school. He came to realize that art was not an intellectual pursuit or a privilege for only the well to do, he realized that true art was much deeper than that, it was about the human soul. It was a profound revelation and it changed his life forever. Less than a year after reading that book he quit his job and art college to dedicate his life totally to art. 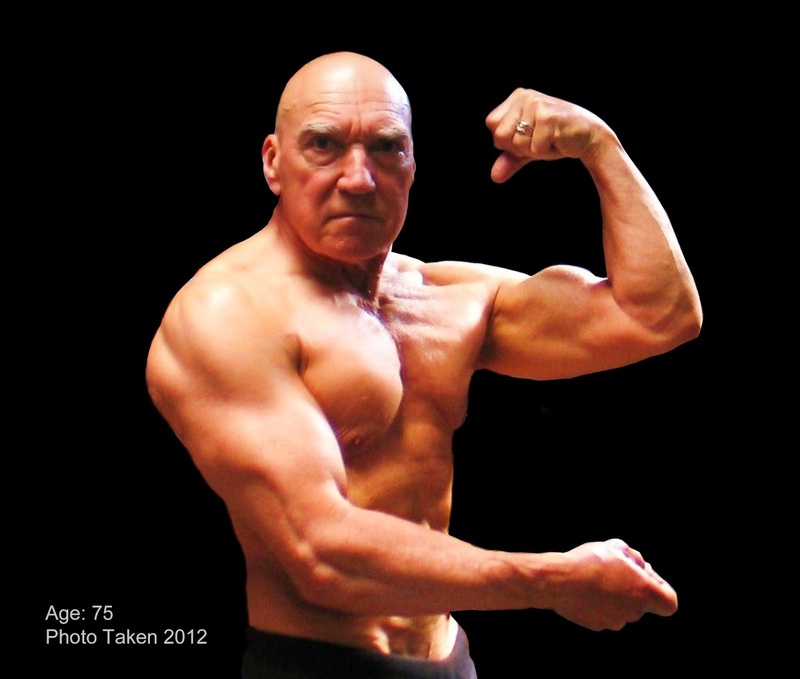 He never competed nationally because steroids were starting to be used extensively by bodybuilders and competition was too strong for someone who started so late. 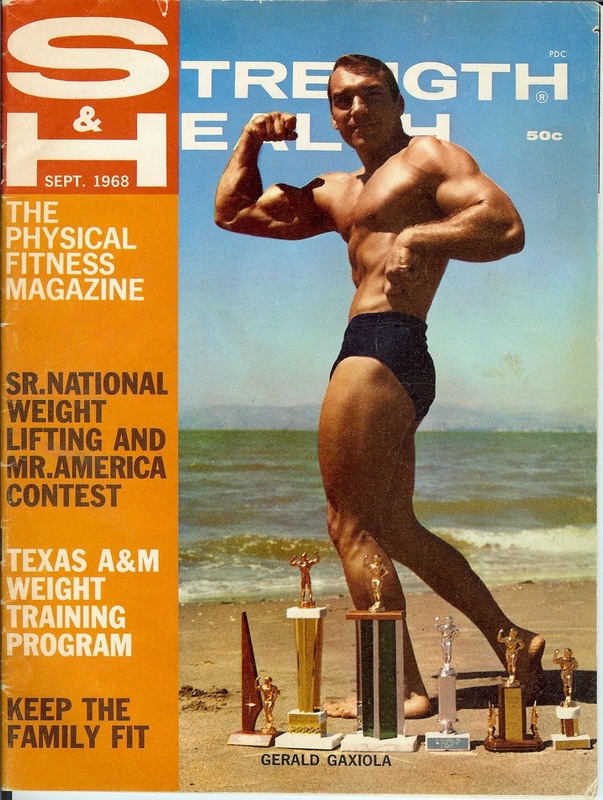 (for example, Arnold Schwarzenegger was only 19 when he won the Mr. Universe title) So when he quit his job to dedicate his life to art he also quit bodybuilding. In 1969 the San Francisco bay area was ground zero for the Flower Power, Black Power, and People Power movements. Everything was in flux. It was on this turf that this new born-again artist was to raise his flag. Not knowing any working artists and knowing nothing about the art establishment and how it worked he pushed forward doing mostly Van Gogh style, on-site landscape paintings. He also did some religious paintings in his home studio, based on themes of renaissance painters. He studied art books and read excessively, everything from religious scholars such as Erasmus, Thomas Merton, Thomas A’Kempis, and Pierre Teihard de Chardin, to biographies, from Lindbergh, and the great bullfighters Dominguin and Manolete to Pablo Picasso. He studied human triumphs and human follies and read extensively the works of philosophers from Aristotle to Eric Hoffer. He read De Tocqueville and Gibbon, Adams, Descartes, Confucius, and even Karl Marx. He absorbed everything and turned it into his art. In 1972 he felt the constraints of painting in Van Gogh’s style so he packed up his little family, (by now he had a daughter, Monica, born in 1970), and took off for Canada. He thought this new landscape would stimulate a new way of painting. He was successful. The paintings done from 1972 onward show a new direction and approach to his work. Upon his return to California from Canada, he was offered a chance to paint a large religious mural in a Berkeley church. He accepted the challenge even though he had never attempted anything so large in scale before. It turned out to be a pivotal point in his career. While he was working on the project the priest began to call him “Maestro” ala Michelangelo. The name stuck and he eventually became known as Maestro Gaxiola. The mural was completed in 1973, after which he returned to his landscape and studio work. That first Maestro Day was a beginning and an ending in the artist’s career. After the unveiling, an argument ensued between the priest and the artist. The artist vowed never to return unless an apology was given. It never came so he never to set foot in the church again. The mural lasted almost twenty years. 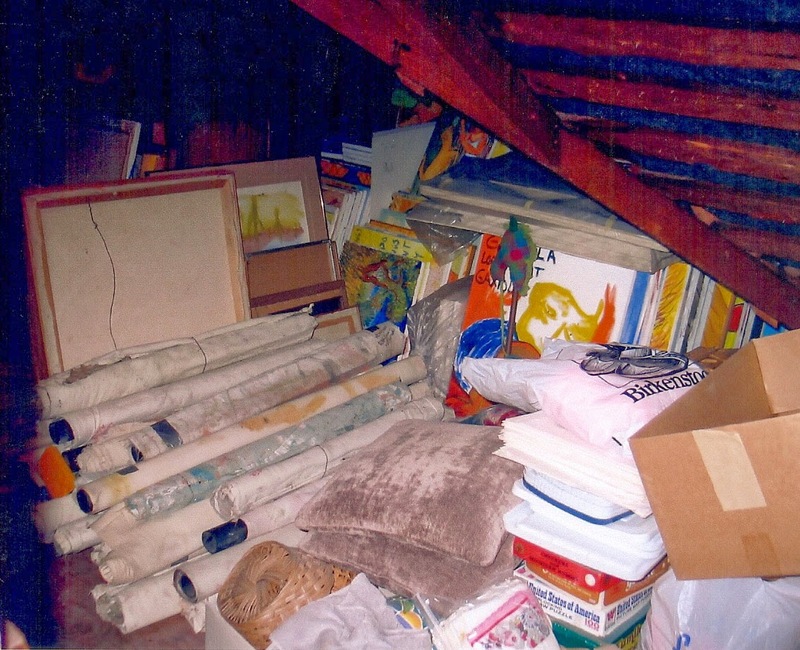 The church was sold in 1993 and the new owners decided they did not want the mural. They took a hammer to it. The Berkeley Historical Society tried to save it but to no avail, the mural was destroyed. After living the Van Gogh life for several years and being renamed the Maestro after Michelangelo, he felt he needed to change his persona into something more American. Ever since his childhood days on the ranch he had always loved and respected cowboys. Every Saturday he was driven into town to watch the Saturday matinees featuring B-western cowboys. Roy, Gene, Hoppy and all the rest were his heroes growing up. Because of his isolation on the ranch his only male role models were working cowboys on the ranch and fancy dressed cowboys on the screen. A hard working ranch cowboy was not the image he was looking for, he wanted something more artistic, so he settled on the screen cowboys. He started off with just fancy boots for Maestro Day II, but by Maestro Day X he was in full fancy cowboy gear with handmade, hand embroidered shirts and paints, custom made matching boots, big white hat, sterling silver buckle with all the silver trimmings. 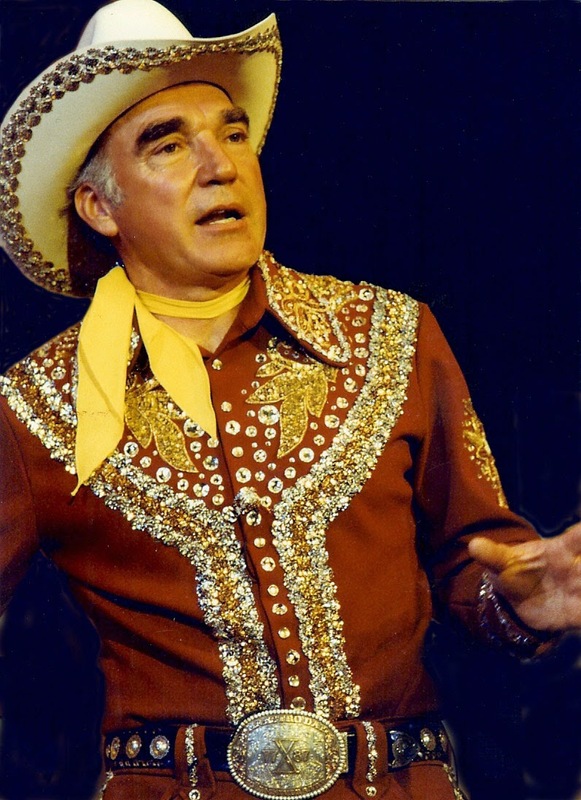 The Maestro was not just an artist now, but a fancy dressed American cowboy artist. In the audience on Maestro Day VIII, July, 1985, was Les Blank and Chris Simon. After the show Chris introduced him to Les Blank. He knew of Les and had seen some of his films. Later a mutual friend, Kevin Bender, got a small grant from Peet’s Coffee to do a film on the Maestro. So in late 1985 Les started to film a documentary on,The Maestro; King of the Cowboy Artists - one of his last films done in 16mm. (he now works in digital) The film premièred at The San Francisco International Film Festival in 1995 and has since played in theaters and film festivals all over the world. http://www.youtube.com/watch?v=6mOFpq3eEnI&feature=related In 2005 Les added a short 30 minute film up-date on the DVD version, titled, The Maestro Rides Again. In the late seventies the Maestro started to look for a distinctive symbol or mark to use to sign his paintings, one that would symbolize his religious dedication to art. While reading about the California Missions, one of which (the California Mission in Monterey, CA.) his g great grandfather had worked as a secretario (secretary), he came upon some illustrations of old California Mission cattle brands. The California missions had large herds of cattle that were used for meat, tallow and hides. Each mission had a distinctive cattle brand for each one of their particular herds. Inspired by these brands he came up with a design which he uses to sign his paintings and correspondence, it’s called the Cross over M brand. The “M” stands for Maestro and the cross represents his religious dedication and willingness to sacrifice for his art. In 1991 he registered the Cross over M brand with the State of California, Dept. of Agriculture. He bought his first guitar in 1954, a Sears and Roebucks Silvertone full body electric guitar. 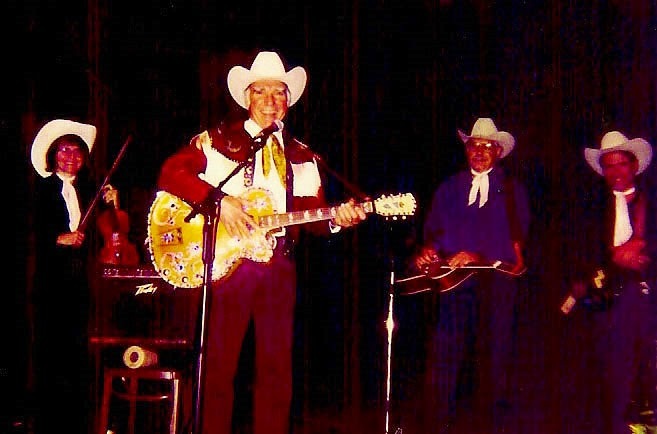 Although he played well enough to sit in with some honky tonk bar bands back in the San Luis area, he never did get very good at the guitar. However he taught himself to play the keyboard and has since written over sixty songs, some of which are in the Les Blank film. (to hear some of his songs click here) http://www.youtube.com/watch?v=Re8tUhn0KhU He also has a song which he wrote and performed for Harrod Blank's film, Wild Wheels. He sang and preformed at his Maestro Days and he did a concert with his country band at the UC Theater in Berkeley in 1995. He continues to play from time to time and has posted some of his MusicArt on Youtube. He likes Jazz and is a big fan of Mose Allison, some of whose songs he has covered. 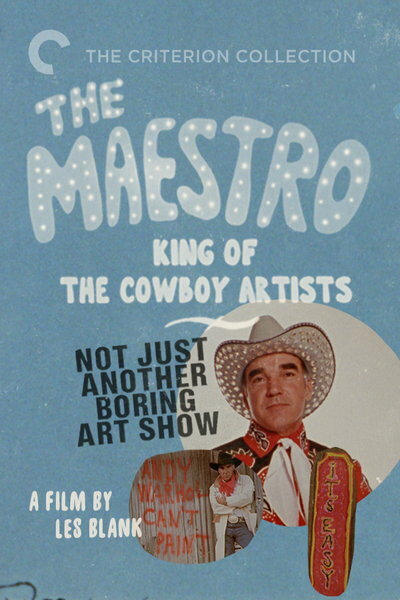 Huffingtonpost selected The Maestro: King of the Cowboy Artists as one of the 18 "must-watch" documentaries. PART 1 http://www.youtube.com/watch?v=kohOsOmaf7E Quick draw followed by introductions. PART 2 http://www.youtube.com/watch?v=fQWUVCSYyFw&feature=related Questions about how Maestro Day got started and about the cross symbol plus stories about his road trip to Portland OR. Maestro also shows off some of his rope tricks. PART 3 http://www.youtube.com/watch?v=jgpNpy5n5pc the Maestro talks about painting, art critic Thomas Albrecht, his model for the year Shelley Jurs and his fancy western shirts. PART 4 http://www.youtube.com/watch?v=wv31yhO18Ek Maestro talks about his college years, on being on the road, his world tour, and his wife Alice. PART 5 http://www.youtube.com/watch?v=Z5SZhWTsiHE Maestro's opinion on art and politics.